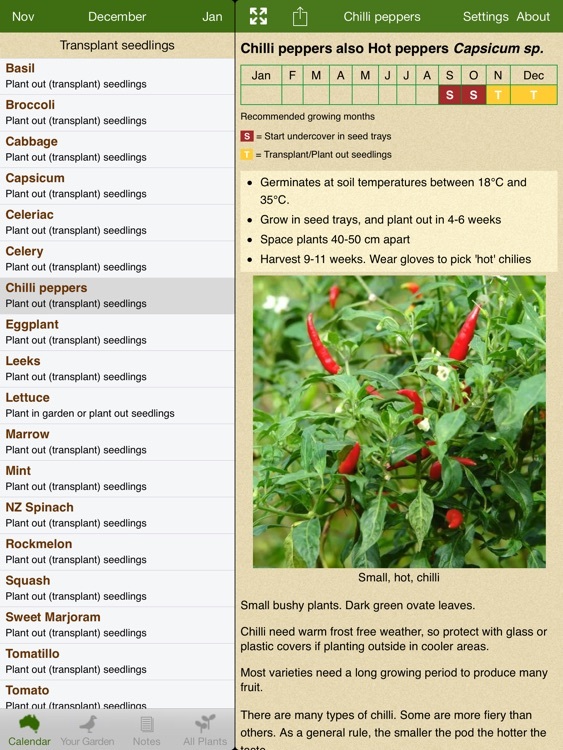 The vegetable garden calendar to keep your kitchen garden growing - shows which vegetables and herbs to plant right now. 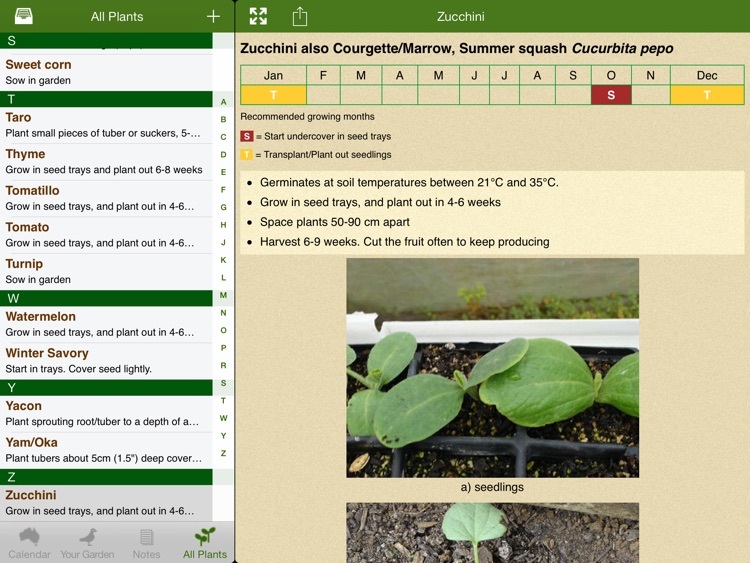 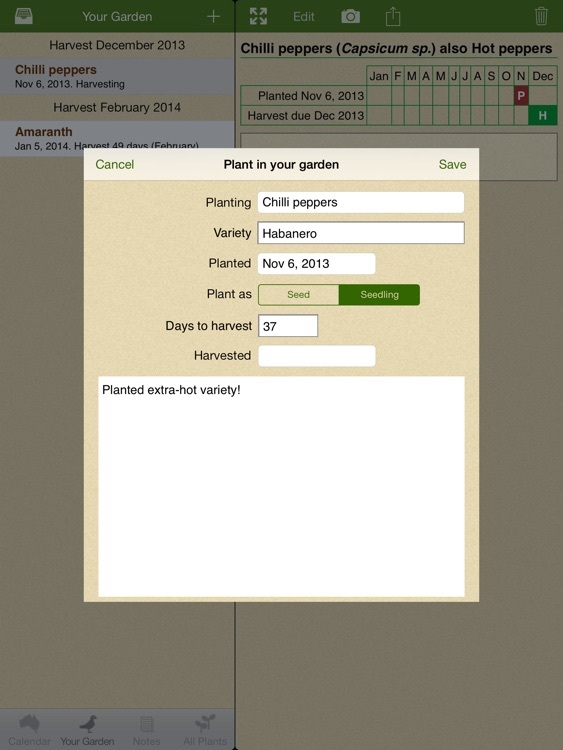 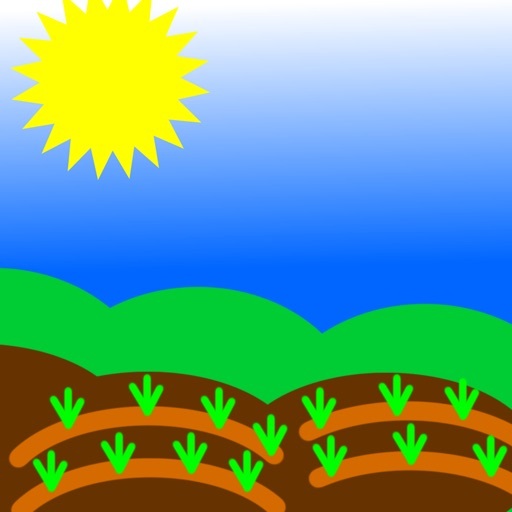 Record your planting information and keep it synchronized with all the other smartphones in your family. Local planting information for Australia, Canada, New Zealand, South Africa, the UK, and the USA. 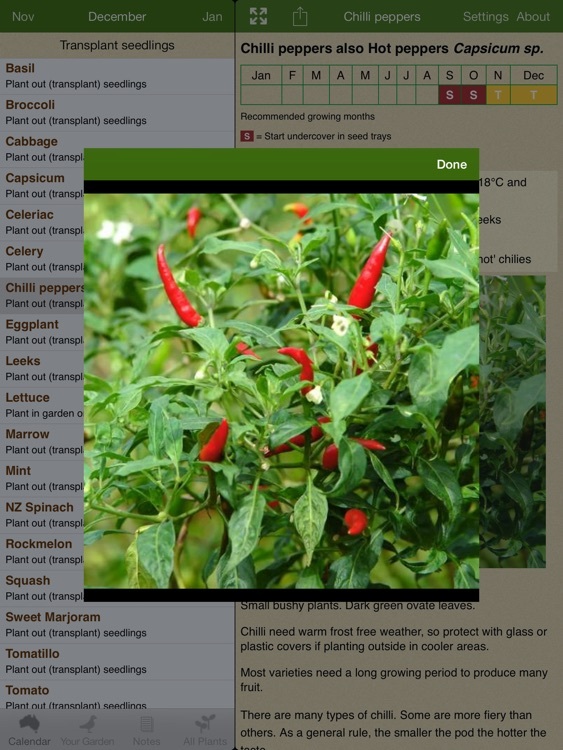 A month-by-month calendar of what and how to plant, with recommendations for the current month. 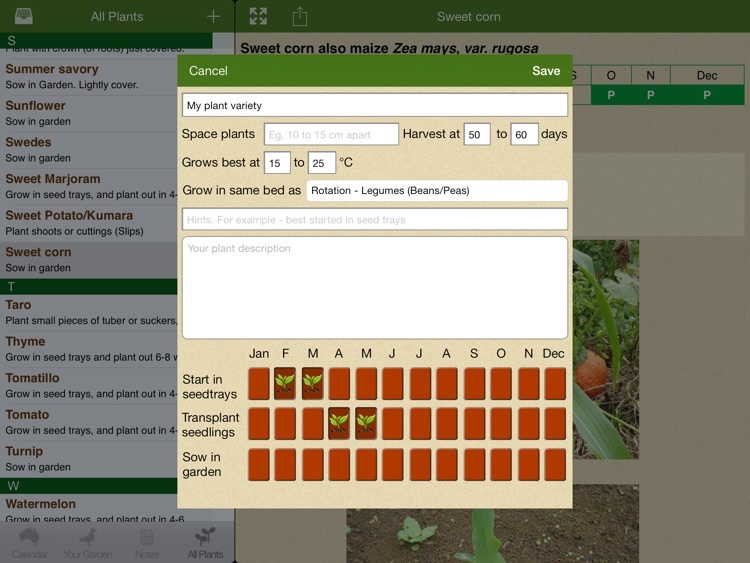 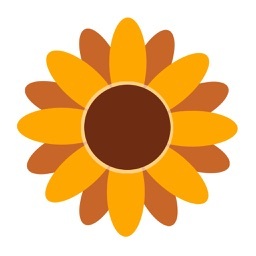 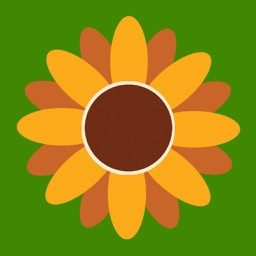 Plant lists to plan your garden, detailed information on plants, and hints and tips from the community at www.gardenate.com.